September saw quite a few trips away - Lisbon, Edinburgh, London and Northumberland! Lisbon was a wee holiday for a couple of days getting ready for my first show of the month, Elements. Elements was the first of it's kind north of the border and was a lovely chance to revisit the city where I studied, Edinburgh. The show was a precious metal show so it was a great chance to showcase new designs in silver. Next was Etsy's Four Corners of Craft at London Design Festival. Set in the very trendy East end of London the venue was buzzing. I thoroughly enjoyed visiting the Private View and I even took part in a Super Talk where 4 makers from across the UK introduced an audience to our work and different practices. Here are some photos below of the space and the amazing makers all based in the UK! Here is a link to my Etsy shop HERE - all items are featured on my online shop as well! Here are some pictures of my stand Goldsmiths' Fair week 2! I had a great, tiring week but have come home excited for the coming months and showcasing the work online and at different event around the country. See my Events page to see where I am over the coming months! Over the next few months I will be heading down to London for Handmade in Britain in November and the Barbican Christmas Market in December. Just check my Events page! If you would like to visit my studio personally then please do get in touch. The season on Skye is winding down but I will be beavering away in my workshop all winter so just drop me a message and I will gladly open up! September - Events, invitations and super talks! Below is more information about the events that I have coming up this month and how you can visit or share with friends! This 3 day show showcases some of the best jewellers and silversmiths in Scotland and is great chance to see what we all get up to in the far corners of the country. I will exhibiting new work made in silver using some designs you might recognise! It is a selling show so bring along your partners...it's never too early to start you Christmas wishlists! If you would like to attend any of the Private view events please use this invitation below and RSVP to this email address info@lyonandturnbull.com. For more information about the event visit HERE at the Lyon and Turnbull website. Etsy makes its mark at the London Design Festival with a selling exhibition of cross-disciplinary contemporary craft. 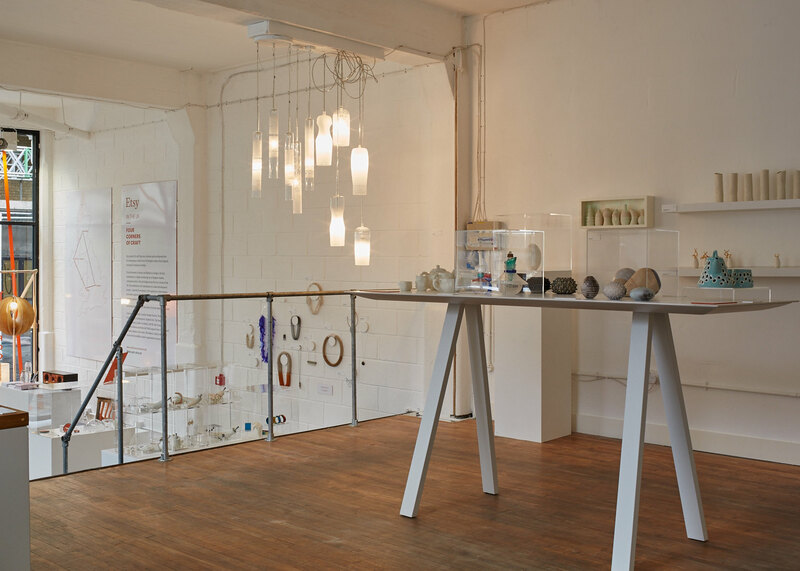 Supported by arts organisations in England, Scotland, N. Ireland and Wales, this exhibition is the culmination of a maker development project, where selected makers have been supported with professional development from The Design Trust. It will showcase their work and tell their stories. This will be the second time exhibiting at Goldsmiths' Fair and I can't wait! I have been working on new designs in silver and elements of 18ct Gold and, similar to last year, will have some showstopper pieces! Similar to last year Goldsmiths' are hosting Breakfast talks and In conversation talks with various professionals from the industry and fellow makers to get an insight into their processes. See HERE for more details on what's on and how to purchase your ticket to the Fair.